Fun Facts on Water Usage that will blow your mind! Vivid Promotions has a great range of Water Conservation Promotional Products. From Printed Shower Timers, Water Drop Stress Toys and Hanging Reminder Signs on how you can save water. It takes an estimated 147971 Litres of water to make just one car! It takes around 6813 Litres of water to grow enough cotton to produce just one pair of regular ol' blue jeans! 189 Litres of water is used in an average 5 minute shower! The average Australian household now uses around 750 litres a day – that’s about 21 buckets of water for each person, including kids! Water Saving Shower Timer: This custom printed Shower Timer allows you to keep track of your water usage. Once the pink or blue sand has poured all the way through, your 4 minutes are up! 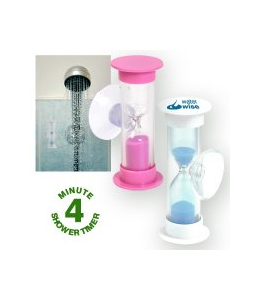 Presented with your corporate logo or water conservation message on the top of the shower timer, this handy Shower Timer will save you money on your next water bill! Water Drop Stress Toy: Custom Printed Water Drop Stress Toys are fun promotional items to promote Water Conservation for all ages. With a smiley face on the front and your logo printed on the back, your message will be in the hands of many. Take the stress of your water bill out on Wally the Water Drop! Wally is Perfect for giveaways and conferences. Why Water Conservation is so important! As an individual it is important that we reduce our water consumption so that we can help our planet. Take quicker showers or replace your showerhead to a water-efficient model, Use a commercial car wash that recycles the water used and turn off the tap whilst brushing your teeth. All of these easy steps can be taken to reduce your house hold water usage and will also help you save on your water bill. Not only can you save money, but you can also help save the planet from gloabl warming. 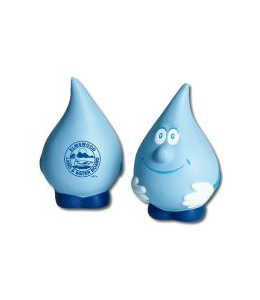 In addition to the Shower Timer and Water Drop Stress Toy, Vivid Promotions also has other helpful water conservation products and novelty items such as Water Conservation Education Packs, Custom Shaped Water Drop Cold Packs, Rain Gauges and Printed Rain Drop keyrings. Promoting your Water Conservation message is easy and cost effective with Vivid Promotions' Printed Water Saving Merchandise. IMPORTANT NOTE: Discounted pricing does not include 10% GST or delivery charges. My sister-in-law\'s breohtr and his wife just got Canadian residency after their US temporary visas were on the verge of expiring. They\'ve been unemployed for a while and the US doesn\'t look kindly on non-working immigrants who aren\'t even permanent residents. But Canada swept in and they were spared the fate of having to return to India (a fate worse than death).But this made me think of the balance and movement of workers/immigrants between the US and Canada. We got you, a skilled radio worker and engineer (you\'ve mentioned brain drain before, and I\'d be curious to see how many skilled Canadians head south for work, versus how many Americans or skilled US-based immigrants head north). In the meantime, Canada gets our discarded immigrant tech workers and accountants. That can\'t be a good deal. I read about this once a while back. Its not as simple as just geitntg a . You have to keep it clean and in perfect repair and you have to drive a minimum number of miles per year and park in conspicuous spots. 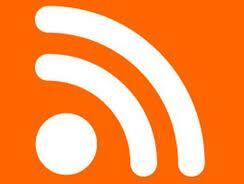 In general, be very visable and a perfect representative of the company and they will pay you a fee. You get to drive but they call the shots.